Task: to supplement a logo with text. 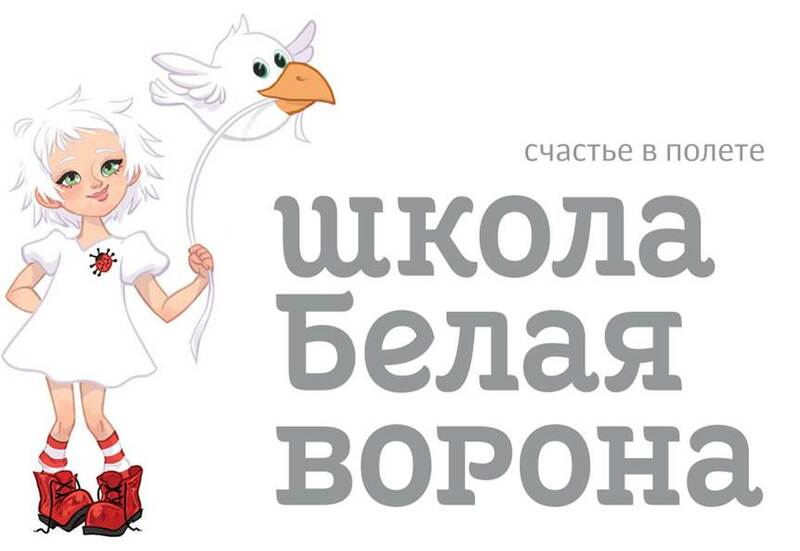 Belaya Vorona is one of the schools opened by Baby Club in Samara for children 6 to 10 years old. Here they can learn unusual subjects such as acting and chess, participate in workshops with interesting people and learn how to be different. A text portion for the existing logo of the school was created at the studio. All characters use different shapes of serifs, some of them are capitals, some lower case, but most unusual is the letter е with a rounded stroke instead of a straight one. It is the black sheep of the composition.